The 4R Nutrient Stewardship Certification Program has announced that Crop Production Services, Inc.’s facilities located in Blissfield, Michigan and Hamler, Ohio have been added to its growing list of nutrient service providers to achieve certified status. 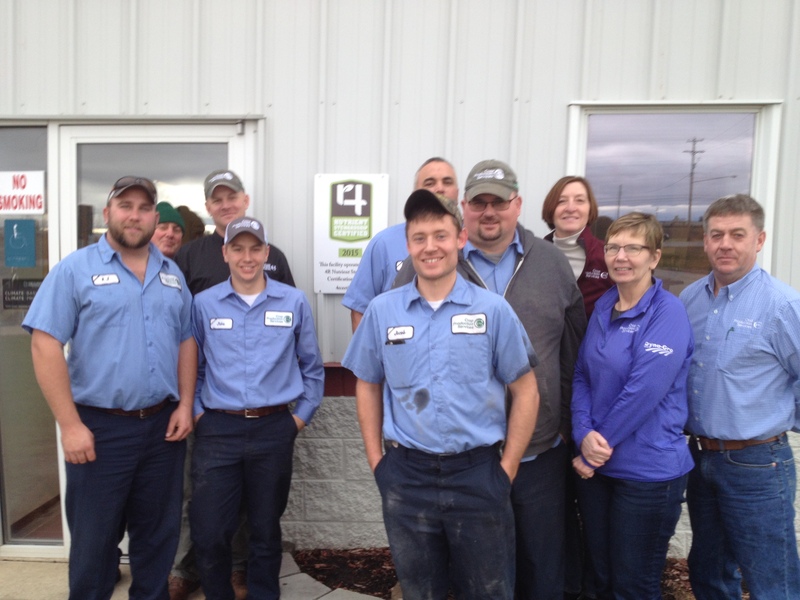 The two locations join Attica, Ohio and Morenci, Michigan as CPS facilities that have achieved 4R certified status. The voluntary certification program is a concentrated effort by the agriculture industry to improve nutrient use efficiency and reduce nutrient loss in response to excessive levels of nutrients being cited as a contributing factor to harmful algal blooms in Lake Erie. 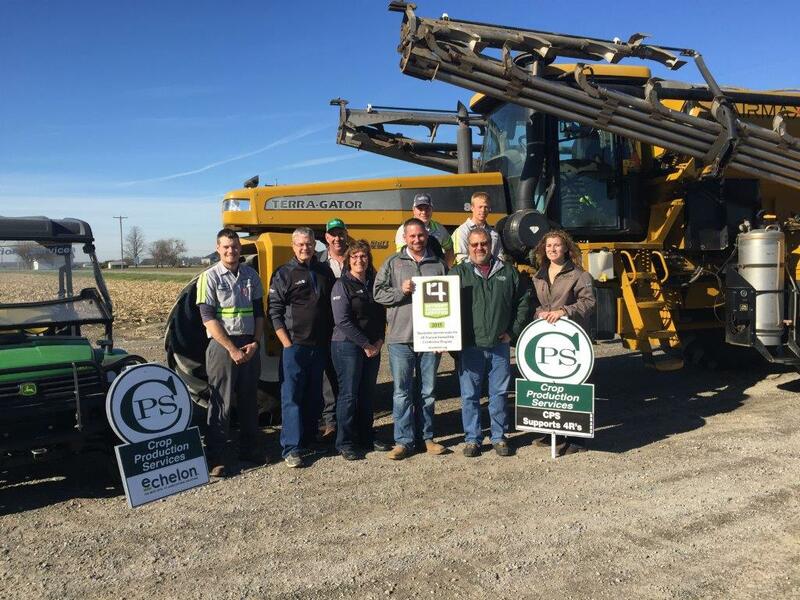 CPS Hamler started as Custom Farm Service in 1966 and continues as a full service center with four Ohio certified applicators, three crop consultants and two Certified Crop Advisers with over 30 years of experience. The location was the first in Henry County to start GPS grid sampling in the 1990s, and has the ability to program the correct nutrient needs for every acre and every crop using the latest technology and equipment and being agronomically efficient in its operation. CPS Blissfield has been in operation for over 50 years, and currently features 18 full-time staff members, including four Certified Crop Advisers, providing services including fertilizer and chemical sales, custom application, crop and nutrient recommendations and variable-rate technology among other agronomic services. Approximately 1.5 million acres and approximately 3,800 grower customers are serviced by the 23 facilities in Ohio and Michigan that have earned 4R Nutrient Stewardship Certification, with approximately 70 percent of those acres being in the Western Lake Erie Basin. “CPS’ Blissfield and Hamler employees worked very hard to ensure their operations were following the 4R’s, and we congratulate them for their stewardship practices and success,” said Andrew Allman, executive director of the Nutrient Stewardship Council. “These CPS facilities have proven their dedication to the long-term improvement of Lake Erie’s water quality by following the 4Rs,” said Carrie-Vollmer Sanders, Nutrient Stewardship Council chairwoman. MEDIA: High-resolution photos of Crop Production Services’ facilities receiving their 4R Nutrient Stewardship Certification signs are available below. Click the name of the photo with the associated cutline to download a high-resolution version.